Millions of people want to learn how to get rid of belly fat forever. But of all the fat storage locations in the body, belly fat can one of the most stubborn of all to burn off. The tips, supplements and strategies in this article can give you a big advantage as you start your belly fat-burning regimen and fight the battle of the bulge. High cortisol levels are linked to more visceral belly fat. In proper amounts, cortisol (a stress hormone) can help your body process its nutrients. However, too much cortisol weakens the immune system, spikes blood pressure, and increases your blood sugar level. Too much cortisol due to stress can also cause your body to hang onto belly fat for longer. In 1994, researchers studying obesity found that women with a higher waist-to-hip ratio (WHR) had higher levels of cortisol after stressful tasks than women with lower WHR. Rhodiola rosea is an adaptogen herb that has been shown to blunt the body’s natural release of cortisol in response to stress. Since cortisol contributes to belly fat, Rhodiola’s anti-cortisol activity may help to indirectly support midsection-slimming efforts. Furthermore, Rhodiola is a legendary performance enhancer that can boost training intensity for greater belly fat-burning results. Since it is not a direct fat loss herb, Rhodiola rosea is rarely seen in fat-burner stacks, and is far more common in performance-enhancing pre-workout supplements. With just a daily 500-calorie cut, most people can see 0.5-2 pounds of fat loss per week on average. The quality of calories counts just as much as the quantity. What tends to trip people up the most is an “empty” calorie craving problem. Even the best dieters struggle with cravings. A 2015 study on binge eating covered by Healthline showed that about 2.8 million people in the United States have binge eating disorder (BED) today. The most common time for BED to arise is in midlife for men and early adulthood for women. By keeping sure to keep the following three cravings controlling tricks in mind, you can put yourself in a much better position to keep cravings at a low enough level to see consistent progress. Eating higher volumes of foods that have lower calorie density and higher nutrient density, such as leafy greens, can help you feel fuller while on a cut. Opaque bags and containers, compared to transparent ones, tend to be a lot less tempting for bingeing. Some nootropic-style supplements like 5-HTP are suggested to help control cravings by raising serotonin, the brain chemical that regulates appetite satisfaction. We prefer the more tried-and-true approach of soluble fiber supplementation. Because soluble fiber absorbs liquid in the stomach, it’s important to take it with at least 8 ounces of water. As soluble fiber absorbs liquid, it forms a gel and swells in the stomach, making you feel fuller faster and for longer. Extra belly fat often happens due to “empty” calories. The quality of food and drinks goes deeper than just calories. 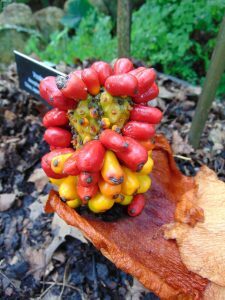 We need to think about nutrients too. Processed snacks and alcoholic drinks have lots of artificial ingredients, but what you won’t find are the nutrients you need to get rid of belly fat. You know the drill. Just say no! Since lowering empty calories makes more room for high-quality calorie nutrition, you can raise the mileage out of the food in your diet. 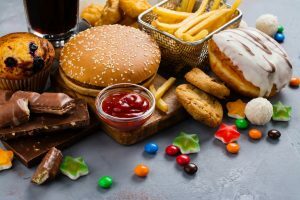 While it’s easy to feel stuck on empty calories out of habit, you can slowly erase that addiction by making healthier choices on a regular basis. 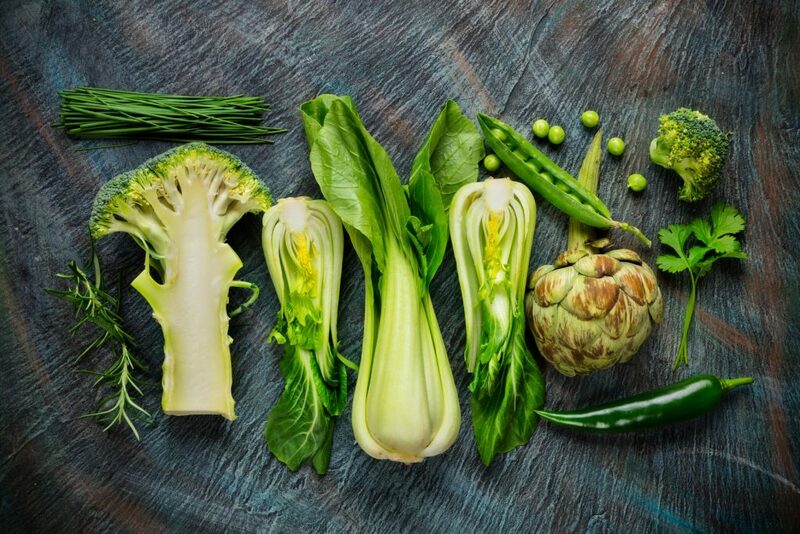 In addition to their nutritional density and caloric scarcity, leafy greens and cruciferous vegetables seem to possess fat-burning properties that make them a secret weapon in belly fat-burning diets. In conclusion, remember that healthy thyroid function is an important, but underrated, tool for fighting belly fat. Support your thyroid for additional belly-fat burning benefits. Strength training raises testosterone, which in turn boosts muscle growth hormones and stimulates fat-burning activity. Hormones regulate fat storage. 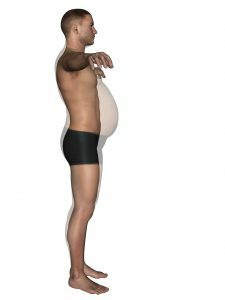 As a result, by countering testosterone decline, you can break the vicious cycle of diminishing testosterone –> increasing belly fat. 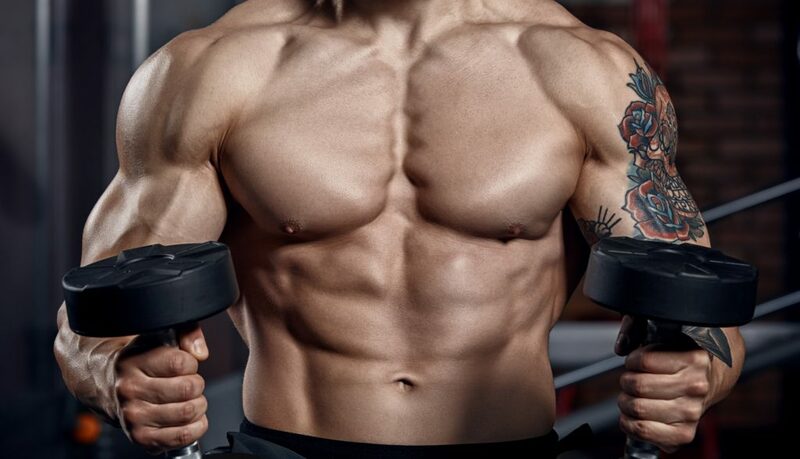 Research has shown that direct testosterone injections in middle-aged men appear to change the way the body metabolizes fat, resulting in targeted reductions of belly fat, specifically. 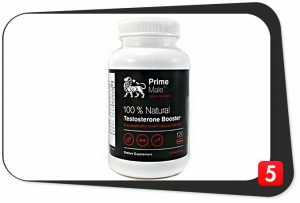 Testosterone booster supplements are another great way to raise T and ignite fat-burning efforts. Check out our Best 5 T-Booster stacks, and pick one that includes test-boosters, cortisol blockers, and estrogen blockers for the best belly fat reduction results. In all the exercises that you perform, whether they’re primarily based on body weight or use weighted resistance, you’ll get the best possible fat burning results by maximizing the overall net calorie burn. Eccentric phase – muscles generate tension while getting longer. Isometric phase – muscles generate tension while remaining the same length. Concentric phase – muscles generate tension while shortening. Whether the exercise begins with the concentric or the eccentric phase, slowing that first phase down to 4 seconds can help your body recruit all of the muscles involved in the exercise. Once that first phase of the exercise is done (such as the lowest position of a pushup or squat), hold that position for 2 seconds. After the 2-second hold, finish it out with a 1-second burst back to your starting point. By sticking to the delayed 4-2-1 tempo, you burn more calories by getting more muscular “teammates” in the game. Core-strengthening exercises cannot burn belly fat, but can tighten up your abdominal muscles, flatten your tummy and improve the appearance of your midsection. There are plenty of people who profess that there’s a toned core hiding underneath all abdominal fat, but that’s only with the right degree of consistent core training. Managing to successfully get rid of belly fat won’t automatically result in the muscles underneath it being tight, strong and well-defined. Making sure that the core is well-trained not only guarantees that your abdominal muscles are toned but also stabilizes up your mobility in just about every physical fitness activity imaginable. Hanging leg lifts are another great exercise for strengthening your core. While you can’t lock fat loss into just one body part, muscles still respond to the ways that you test them. As a result, when you get rid of belly fat through your diet and regular exercise routine, making sure to keep up the pressure on your core will strongly support your midsection. While making a point to exercise actively definitely helps, one of the most crucial aspects how to get rid of belly fat involves remaining completely motionless: your quality of sleep. Because sleep strongly affects your body’s capacity for recovery, you’re many times more likely to get proper mileage out of your belly fat burning practices’ results if you’re properly rested. According to the American Sleep Association (ASA), 37% of 20-39-year-olds and 40% of 40-59-year-olds report only sleeping for a short amount of time. While your exercise routine and diet plan will count for a lot, sleep quality matters most of all. Because sleep affects your metabolism, high-quality rest will give your body what it needs to burn more energy than it stores. Some of today’s advanced sleep supplements can also help by extending high-quality restorative sleep phases. Other sleep supplements are designed for post workout muscle recovery, which may help core strengthening efforts. A supplement that burned belly fat would be the Holy Grail of the entire supplement industry. No fat burner can make that claim, yet. 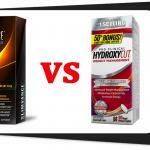 However, several supplements may be an indirect way how to get rid of belly fat. Some belly fat supplements play a role in the body’s fat-burning mechanisms, and a couple even have some evidence for targeting belly fat, specifically. Let’s check them out. Consider rhodiola rosea as a multi-tasking herb that probably works indirectly to optimize many activities that are involved in belly fat storage and belly fat burning. ALCAR is a form of carnitine that is responsible for carrying fatty acids across cell membranes. It funnels fats into cells’ mitochondria, where they are burned off to produce ATP energy. Because of this key role in fat oxidation, ALCAR seems like it would support any fat burning efforts — including those targeting abdominal fat. Famously used as a sports nutrient, ALCAR helps to boost physical training performance, upping intensity to burn more calories during belly-fat-targeted workouts. In addition, ALCAR demonstrates some glycogen-sparing properties. This means it helps to steer the body away from burning energy stored in muscle, instead compelling it to burn energy stored in fat, first — which could help you reduce those “energy storing” love handles around your waist. Human clinical research has found that Carnitine and isoflavone (a nutrient found in soy protein products) supplementation appears to be linked with a significant reduction in abdominal fat. Cayenne pepper is one of the greatest herbal fat burners, and may be helpful for getting rid of belly fat. 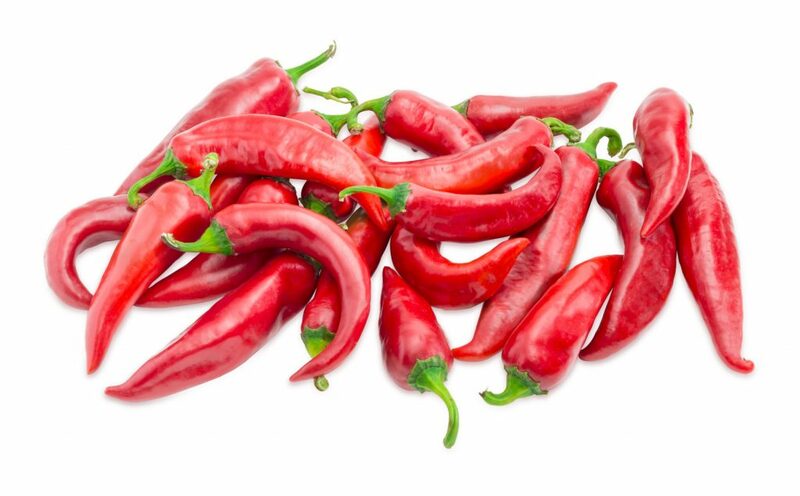 Bright red cayenne peppers supply capsaicin, an active ingredient that may have belly fat-burning properties. Capsaicin stimulates the body to release hormones that raise body temperature, which in turn helps you burn more calories — including calories stored as fat around your waist. Cayenne pepper also stimulates hormones that initiate the breakdown, transport and “burning” of stored fat. With dual activities for both thermogenesis, generation of body heat that burns more calories; and lipolysis, the process by which the body breaks down and burns off fat; cayenne pepper seems like it is uniquely qualified for use as a belly fat-burning supplement. If you choose to eat a lot of cayenne peppers, you may get another benefit: Calorie intake reduction. That’s because cayenne as food has been shown to reduce appetite. Most people will get greater belly fat-burning benefits from taking cayenne in an advanced supplement form, which can greatly concentrate the pepper’s weight loss activities without burning your mouth and stomach. As a weight loss nutrient, forskolin is increasingly popular for its ability to boost lean muscle growth while accelerating reductions of bodyfat. 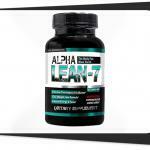 It may help with belly fat by raising levels of cAMP (cyclic adenosine monophosphate). cAMP is a molecule that coordinates a lot of metabolic activities. Among them, it stimulates hormone sensitive lipase to initiate the breakdown of bodyfat. Forskolin also supports thyroid hormone, futher promoting an ideal hormonal state for burning off belly fat. Also known as wakame or bladderwrack, brown seaweed supplies xanthophyll antioxidants (including fucoxanthin). It also supplies thyroid-stimulating iodine. 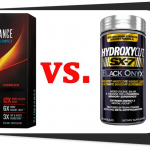 Both are believed to be seaweed’s active ingredients for fat loss. Brown seaweed gained a big buzz in the mid-2000s thanks to animal research that found its fucoxanthin stimulated a protein called UCP1 in white adipose fat (belly fat) that increases the conversion of fat to energy. In other words, fucoxanthin appeared to target abdominal fat, specifically, with fat-burning activity. Brown seaweed fell off the radar when no human studies validated the animal research. However, its notable thyroid-stimulating activity and early belly fat-burning evidence seem like they still hold some promise. 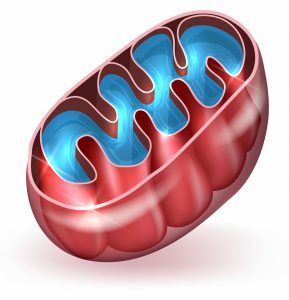 Boosting cells’ powerhouse mitochondria might be a new way to support belly fat loss. 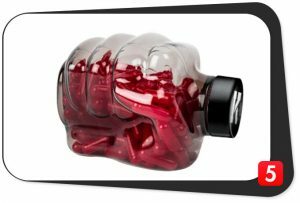 By increasing the number of mitochondria in cells, enhancing the transport of fatty acids, and boosting ATP energy production in all cells, mitochondria-targeted energy supplements help to support peak physical performance and efficient fat metabolism — a great 1-2 punch for knocking out belly fat. Consequently, addressing your most basic biological energy mechanisms with mitochondrial enhancers may help support belly fat-burning, which is ultimately an energy-transforming process. And remember, now that you know how to get rid of belly fat, the benefits don’t just stop at looks. Waist size is even more strongly linked to the likelihood of developing chronic health issues than body mass index (BMI). 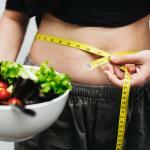 There is no shortcut to lose belly fat quickly, or to burn off your abdominal fat without exercise. But take control of your midsection now, and you can look great and get in shape while enhancing your overall health for decades to come. Agnvall, Elizabeth. Battling Belly Fat: Why it’s dangerous and how to lose it. AARP Bulletin, July 2, 2012. Robinson, Athena. Binge Eating Disorder Statistics: Know the Facts. Healthline. August 18, 2015. UVA Human Resources Contributors. Writing S.M.A.R.T. Goals. The University of Virginia. August, 1, 2009. Kobayashi, Hiromitsu & Miyazaki. Distribution characteristics of salivary cortisol measurements in a healthy young male population. American Sleep Association contributors. Sleep and Sleep Disorder Statistics. ASA. September, 2016. United States Department of Agriculture Contributors. What are empty calories? | Choose MyPlate. USDA. November 30, 2015.